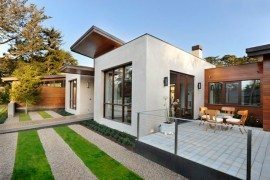 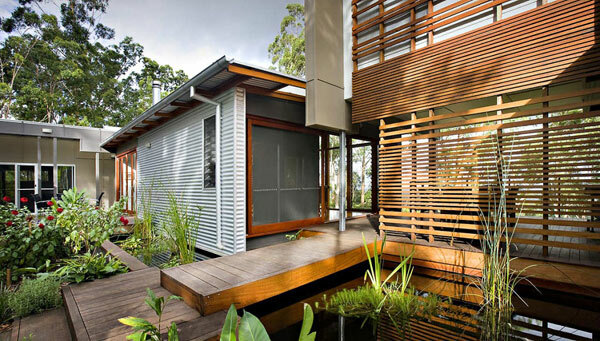 One of the best ways to go green when it comes to construction and building new homes is to try and use as much of the material that is locally available to reduce carbon footprint, while use of materials such as reclaimed wood obviously help. 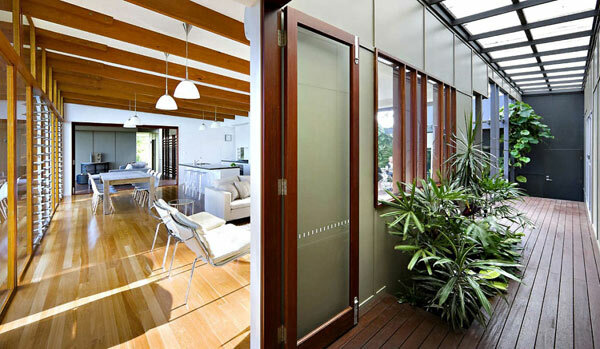 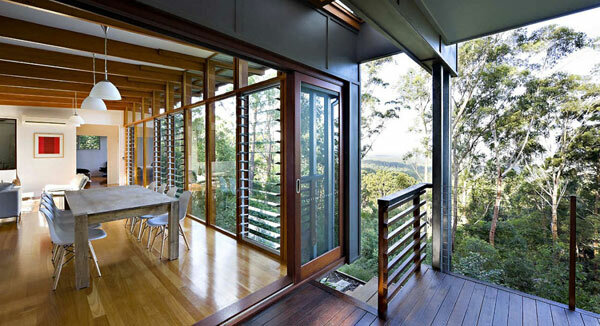 It need not always be fancy high-tech eco-solutions that make a home green and this cool home in the small town of Peachester, Australia demonstrates precisely that by blending into the green around it with use of plenty of wood and some smart design. 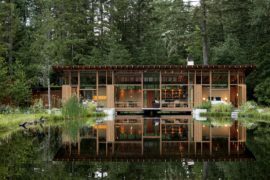 The Storrs Road Residence is nestled on an 18 acre property that sports plenty of flora and even has a pond that is close to the home. 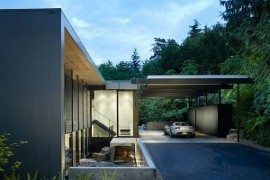 The challenge for the designers was to integrate the existing surroundings with the new and revamped structure which offers its residents some great views of the lush surroundings while it makes for a lavish contemporary home. 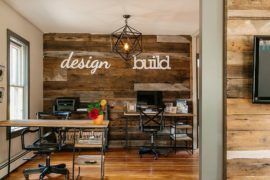 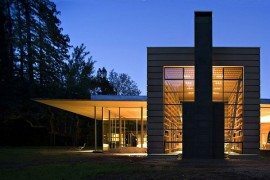 The highlight of the home was the use of repurposed wood, which pretty much helped in construction of the entire structure. 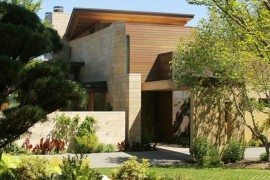 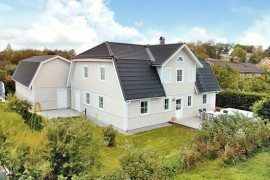 Adding to this are solar water heating technology, ambient natural lighting and 60,000 liters of water storage system that ensure that the home further retained its ‘green’ tag. 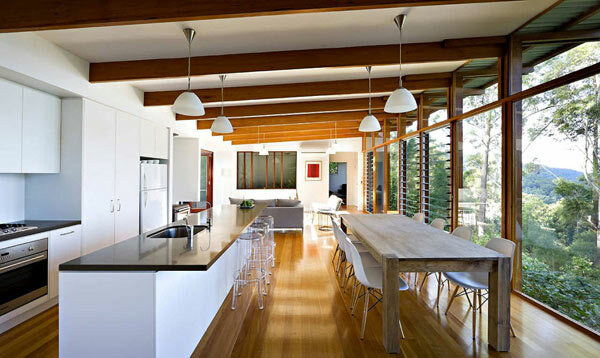 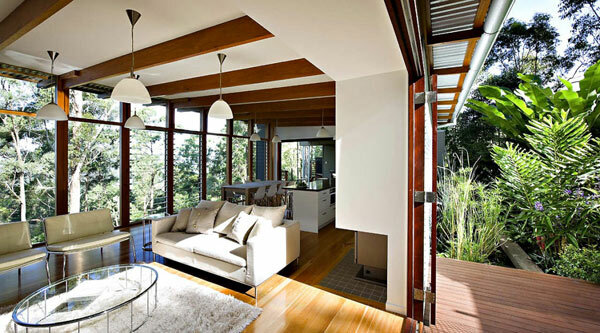 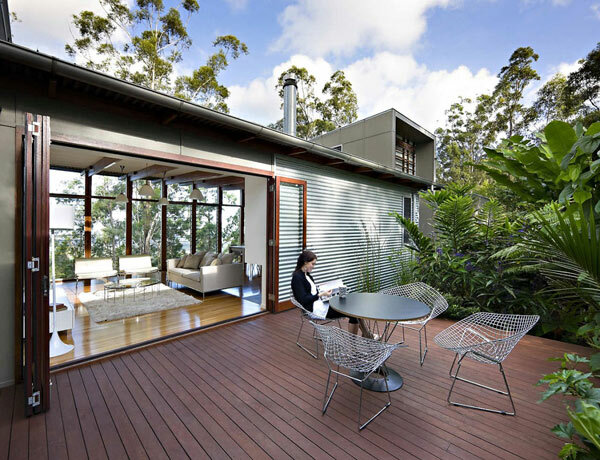 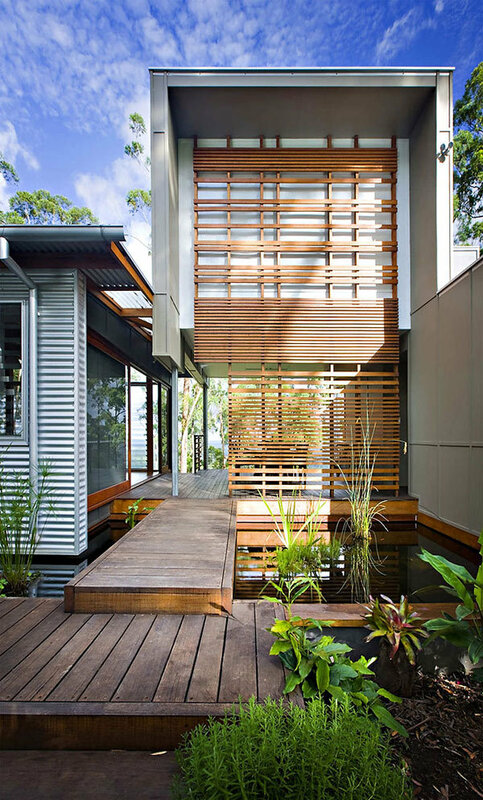 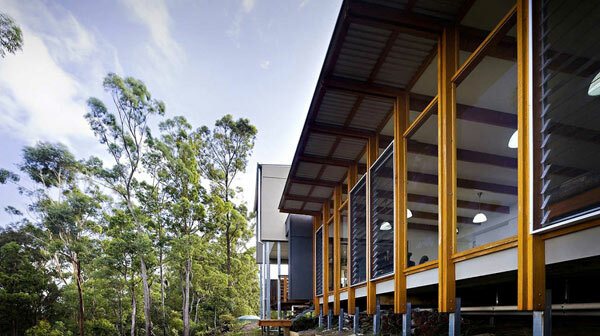 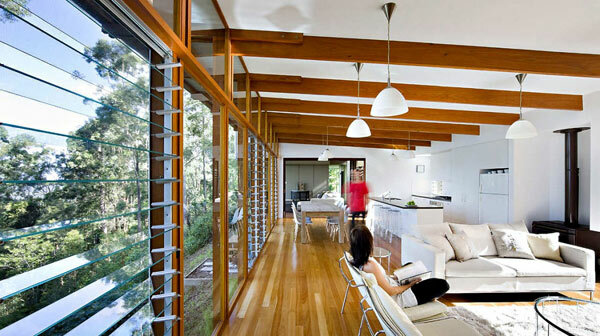 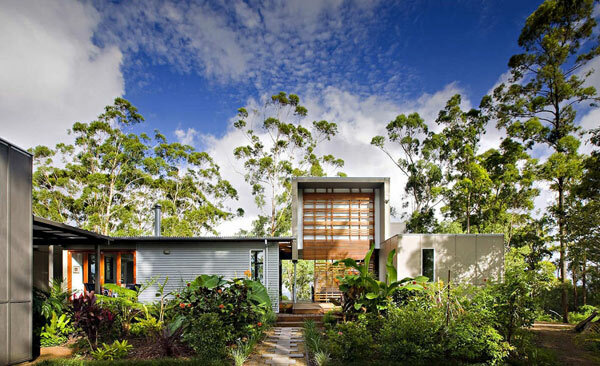 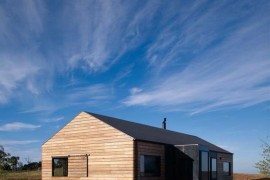 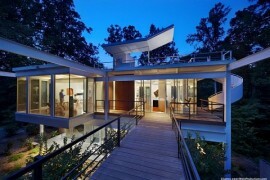 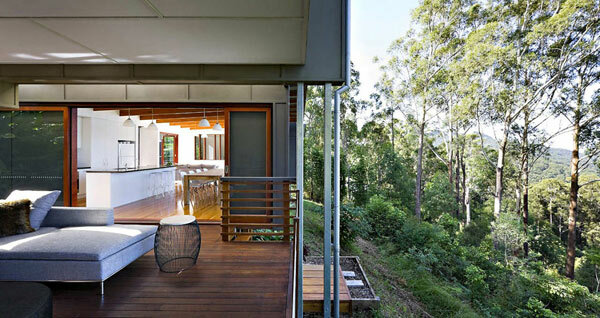 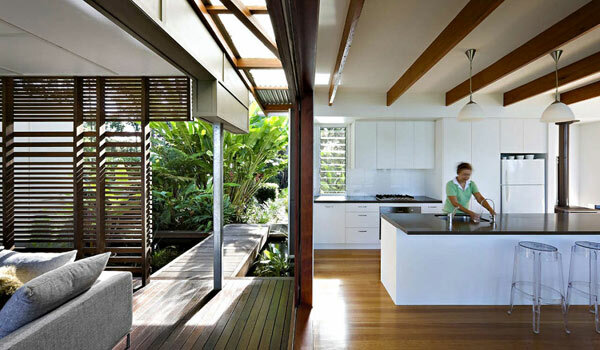 Designed by Tim Stewart Architects it is a wonderful example of sustainable architecture.